Comments: This floribunda rose produces clusters of white flowers with darker centers. It is also noted for its fragrance and glossy green foliage. 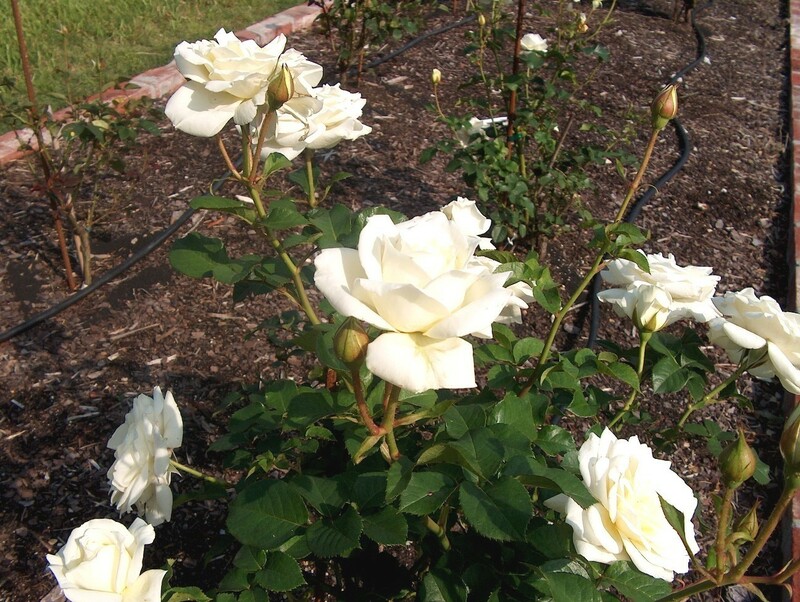 This white rose like all white flowering plants is an excellent choice for gardens where white plants are featured.